Rabbit, thanks for the link to the photos showing your building process. It's good to see how well the pieces integrated. Gorgeous castle! GOD - there was no desire to use the interiors so no special effort was made, so no stairs, thrones etc... so I did not take any specific interior shots. Rabbit, your Harlech is to die for. Can yous show interior rooms? Thanks very much. I was concerned about mixed use. Now I have to decide whether to just order a Watchtower and Rampart set to mix with CBS stone walls or go all in for one of the big castles. I've got to draw the line somewhere. Right? Right...? I love the bridge approaches. Very nice use of the stairs. 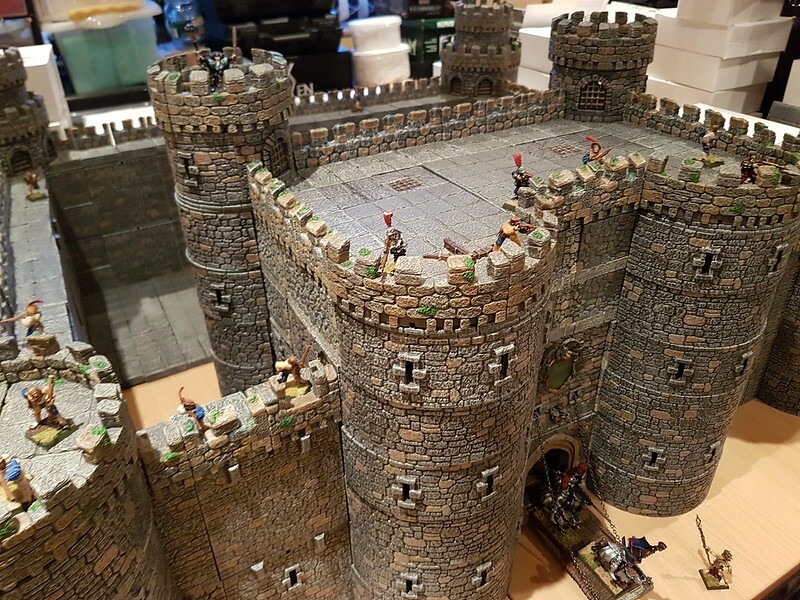 Pizzabagel - the gatehouse on my Harlech castle build used a mixture of Castle Square towers, Advanced builder and CBS stone wall kits and the walls were topped with CBS Battlements. 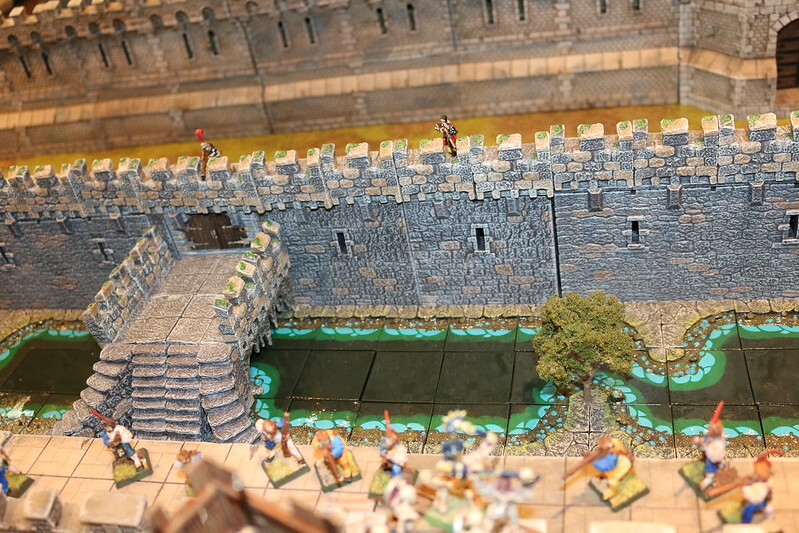 The MWoD makes using CBS walls in Castle walls straight forward, I have used double doors in a few of my builds. I'm still eyeing the castle sets for pieces that would possibly integrate with CBS stone walls and battlements especially the Ramparts set. I can imagine a lot of uses for that big arched entrance with double doors, drawbridge, portcullis, etc. Does anyone have any experience with combining this set with CBS pieces? Do they "fit" together? Hmm. I hesitated, and the store sold out of small tower crenellations. I'm probably just going to stick with large tower acessories to give more room for play, but do y'all think small towers are worth picking up? Eventually, yes, I would consider it. Small towers, of course, work with smaller builds. Maybe less of a fortress feel, but definitely "on scale" for a fortified manor house, or a barbican, or the base for a wilderness fort.